Delrin® sheets are also available in an array of standard stock colors in addition to Natural and Black, requiring no minimum production size or additional lead time. 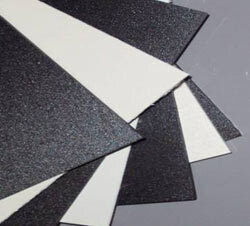 Ensinger's Delrin® 150 stock shapes are a homopolymer acetal manufactured using DuPont Delrin 150 Resin. It is a crystalline plastic which offers an excellent balance of properties to bridge the gap between metals and plastics. It possesses high tensile and flexural properties, along with creep resistance and toughness, while exhibiting low moisture absorption, and fatigue endurance.